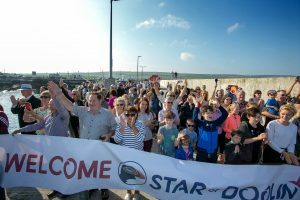 Tuesday, 05 June 2018: The Aran Islands got closer today as the fastest and most eco-friendly passenger cruise ship to operate on the western seaboard sailed into Doolin for the first time following a €3m investment. 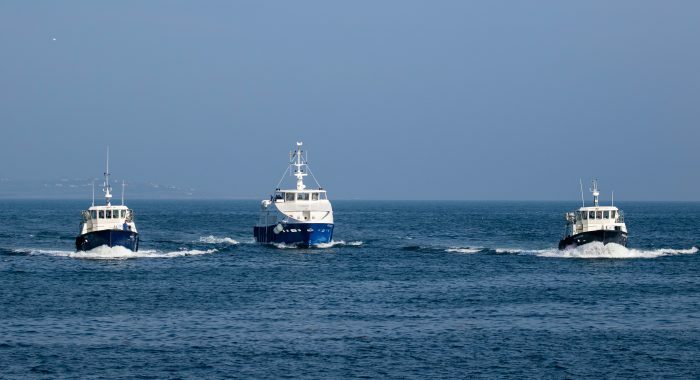 The investment by Doolin2Aran, which is owned and operated by one of Ireland’s best-known sea families, the Garrihys from Doolin, is the biggest ever made in a single vessel on the west coast of Ireland. 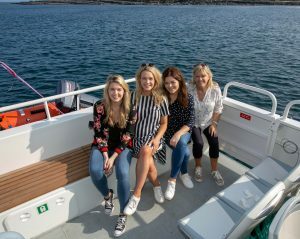 The one-off designed, 200 seat cruise ship is also tailored for international tourists, with multi-lingual voice commentary to ensure visitors get the absolute experience and knowledge of the world-famous heritage sites.